Tomorrow is day one of the #1maxi3days blog event, where all who be joining the fun will be styling one maxi skirt three ways, over the course of three days. 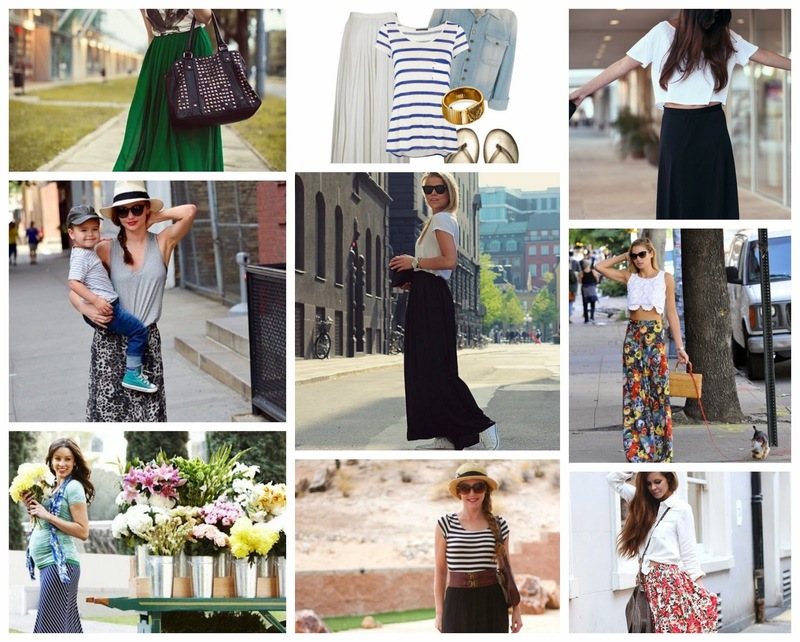 Since some of you might need some inspiration on different ways to style your maxi skirt, let me recommend that you check out my Styling Maxi Skirts Pinterest board for ideas on how to style your maxi skirts. I have finally decided that I'm going to be styling my Forever 21 black knit maxi skirt, since it is in a basic color [that can be dressed up or down], and all my other maxi's are either made out of chiffon or tulle, not very practical for daily wear. Also, incase y'all are interested I do have a FB event page for the #1maxi3days blog event where you can invite friends to join in the fun, and where others are sharing their Pinterest inspiration boards with each other.